The Apple Watch is finally here (if you ordered one in time) and there’s already a surprising amount of apps available. Apple did a great job of giving developers tools to create apps for the Watch before it launched. Even if you don’t download any apps to your Apple Watch, the device can still do a lot. Let’s take a look at what you can do with Apple Watch out of the box and with some third-party apps installed. Apple wanted to make receiving Apple Watch an experience. For our Sport model, the packaging is extremely robust and quite large for such a small device. The watch comes in a glossy white box that reminds me of the original MacBook. 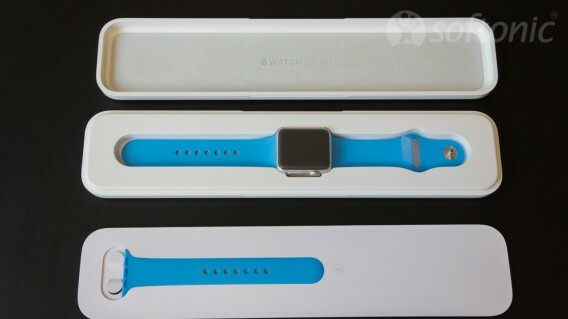 Inside, you’ll find the watch, a charger, a very long (looks like 10ft) charging cable, and some instructions. While the device does come with some juice, you’ll want to charge it all the way before you start using it. Booting it up for the first time takes a while. Once Apple Watch is done booting, you’ll have to pair it with an iPhone 5, 5c, 5s, 6, or 6 Plus. Make sure you’re running the latest version of iOS to see the Apple Watch app before proceeding. 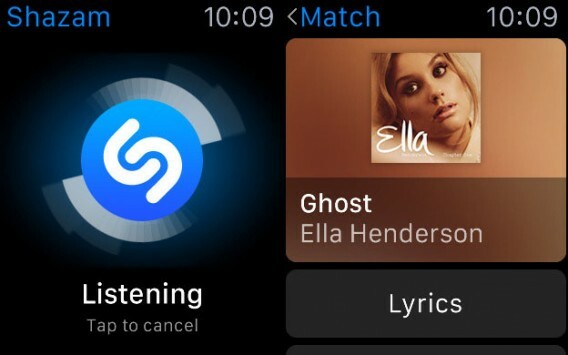 Apple has made pairing the watch with your phone extremely easy. The watch displays a unique sphere that you scan with your iPhone’s camera. 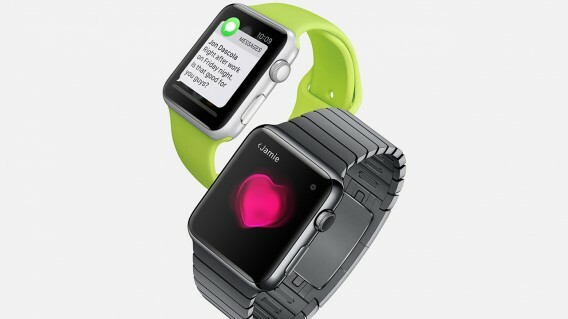 The two devices pair immediately and you can start using the watch’s built-in apps. App icons are arranged in a random honeycomb pattern with the Time app at the center. This layout can become frustrating if you have a lot of apps, since it’s hard to remember where each app is. 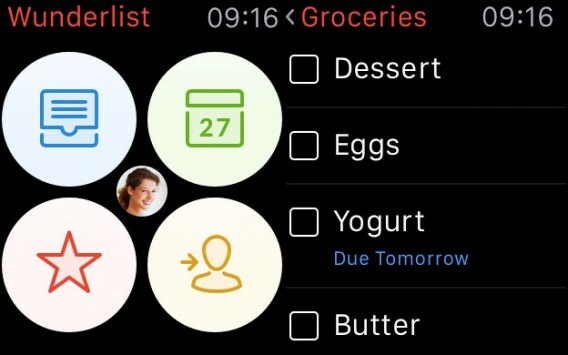 You can arrange the app icons in the Apple Watch iPhone app, but no one wants to do that. Luckily, Siri can launch apps by voice instead. Press the digital crown to go back and to access all your apps from the watch face. 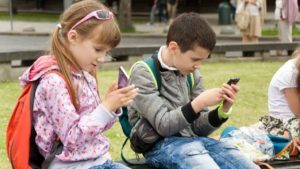 Scrolling is controlled by swiping the screen or using the digital crown and it works very well. Scrolling is smooth and the crown feel great. The side button below the digital crown gives you quick access to your favorite contacts for quick communication. Apple has also introduced the “force press” with the Apple Watch, allowing different actions by pressing harder on the screen. This is how you’ll activate watch face customizations. 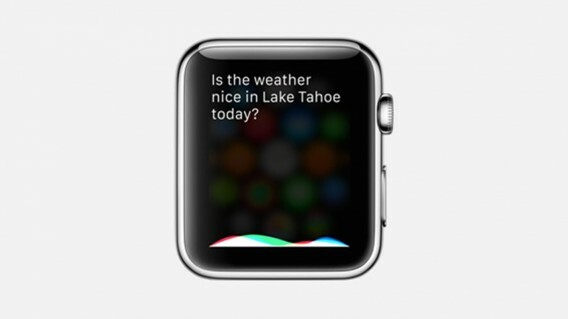 The watch face is also where you’ll find your “glances,” which are info cards for apps you choose. You can select which apps have “glances” from the Apple Watch app on your iPhone. The watch is a bit confusing to use at first but once you know all the controls, it works well. Generally, performance is snappy, except the slow first time loading for the weather and maps apps. Even without downloading any apps, you can do a lot with the Apple Watch. Here’s what you can do out of the box. Out of the box, you’ll receive notifications when someone calls you. You can choose to pick up, hang up, or mute the call by placing your palm on the watch face. There’s a built-in-speaker and mic on the watch so you can have a conversation right on you wrist. This is useful when you’re alone, but you probably don’t want to hold a conversation on the bus. When you get a text or iMessage, your Apple Watch will “tap” you with small vibrations. You can read the full message and reply with canned responses. If none of the pre-written messages work, you can dictate the message to turn it into text or just send the audio recording. You can even send animated emojis if that’s your thing. If you use the Mail app on your iPhone, you’ll receive notifications for all your emails on your wrist. 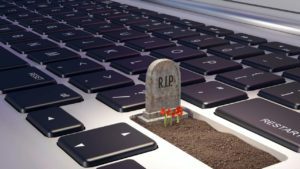 You have options to read, flag, mark as read or unread, or delete an email. 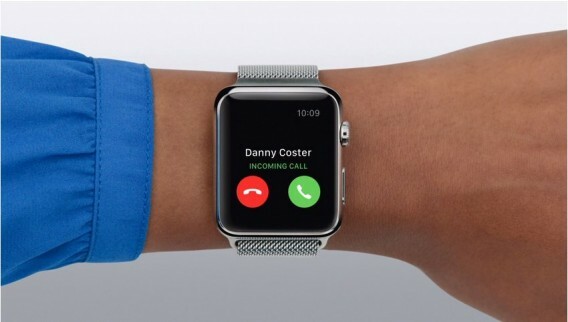 You can’t respond on your wrist but you can open up the message on your iPhone to respond. All your calendar events are synced to your Apple Watch. I found this to be the best productivity app out of the box as it tells you when your next meeting is. You can also accept or decline calendar invites. 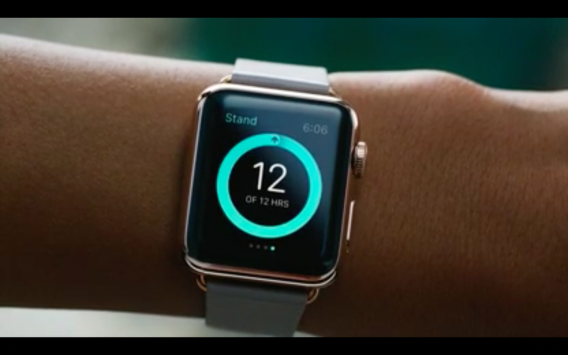 Apple wants you to live a healthier life (so you can buy more of its products in the future). 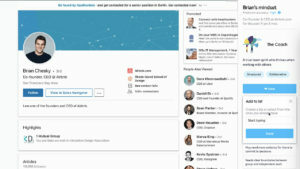 The company’s Activity app aims to keep users healthy by reminding them to move, exercise, and stand. Each activity is represented by a ring that fills up as you do more of that activity. If you’re like me, it’ll serve as a constant reminder of how big of a couch potato you are. Workout lets you choose popular workouts and provides guidance for each. You can select running, walking, cycling, and more. 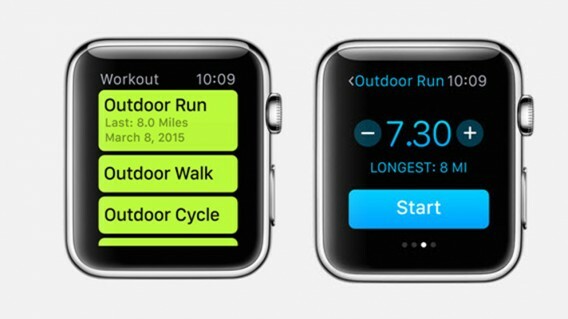 It’s like a basic personal trainer on your wrist. The app provides real-time stats for distance covered, calories burned, pace, and speed. There’s no Google Maps for Apple Watch yet so you’re stuck using Apple Maps. It works but is very slow to load maps the first time. Zooming in and out using the crown refreshes Maps, which is a frustratingly slow experience. However, once your maps are cached, it just works. 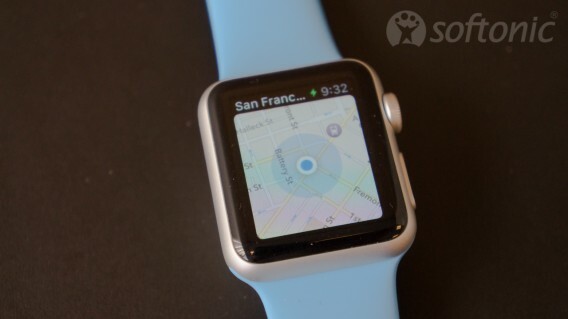 Maps shows your current location and offers turn-by-turn navigation on your wrist. This is great if you’re exploring a new city and don’t want to bury your nose in your phone. Maps also works with Siri to help you find points of interest. Keep your boarding passes, tickets, and loyalty cards right on your wrist. Now you don’t even need to take out your iPhone to board your plane. Passbook also lets you choose which credit card you want to use with Apple Pay. 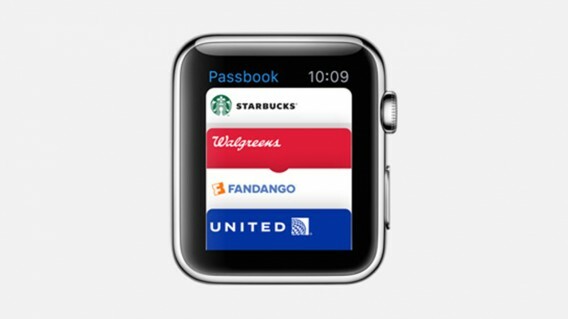 There’s no app for Apple Pay; you just tap your Apple Watch on a terminal and your transaction will go through. If you want to leave your iPhone at home when you’re out for a run, you can sync over a playlist to the Apple Watch itself. There’s 2GB of available storage (out of a total 6GB) for music, just enough for a workout playlist. You can use a pair of Bluetooth headphones with the Apple Watch. The app lets you control playback if your headphones don’t have controls. Control your Apple TV on your wrist. Remote also lets you control your iTunes library and iTunes Radio on your Mac or PC. 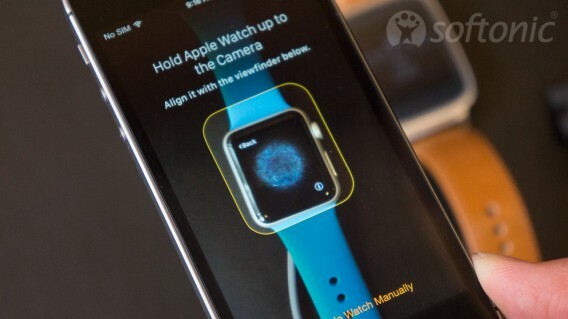 If you have a tripod for your iPhone, you can use your Apple Watch as a remote control to take a photo. You can set a self-timer so you can position your hands before the photo is taken. 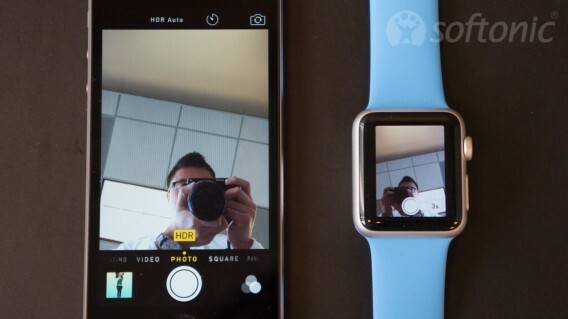 Your watch also gives a live preview of your photo so you know how your photos will turn out. Get the weather right on your wrist. Certain watch faces allow you to show weather information so you don’t need to jump into the app to see the current temperature. However, jumping into the app gives you detailed forecasts for the week as well as current conditions. Keep track of your stocks with the Stocks app. You can see current prices, percentage changes, and market cap. Tapping on a stock reveals a performance graph. 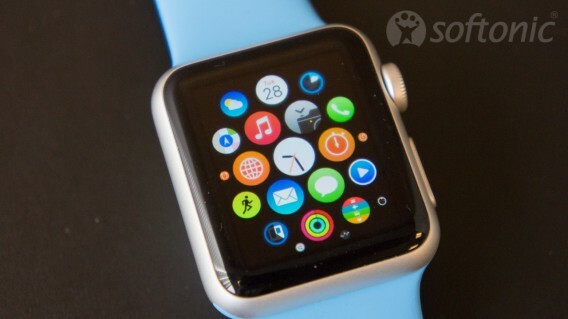 Even though the Apple Watch’s screen is small, you can view photos. 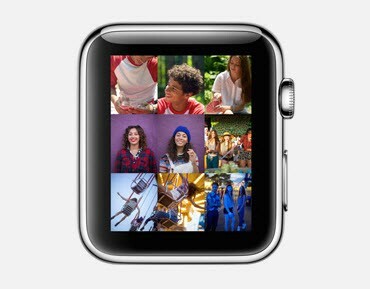 You get photos to your watch by opening the Apple Watch app and selecting an album to sync. You get small preview images of your photos and can zoom in and out using the digital crown. Set multiple alarms, track your time, and precisely time events using these included apps. If you have apps on your iPhone that support Apple Watch, those apps will be automatically added to your watch home screen. 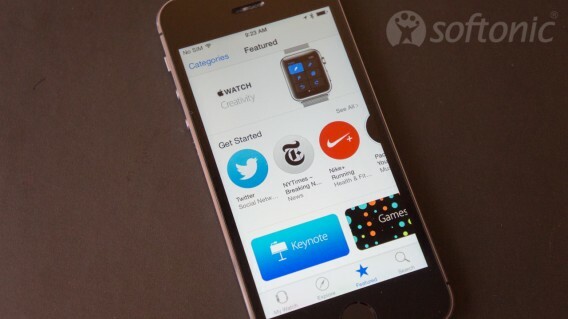 The store is designed like the App Store for your iPhone but specifically for Apple Watch apps. To help you browse all the apps, you can tap on the category button at the top left. If you have something specific in mind, you can use the search feature at the bottom right. Tapping on an app in the Apple Watch store gives you details, screenshots, reviews, and related apps, just like for iOS apps. I already highlighted some of the best Apple Watch apps here but these are currently my favorite. The New York Times did a great job creating an app without even seeing the Apple Watch. It gives you quick headlines and a one sentence summary of the article. 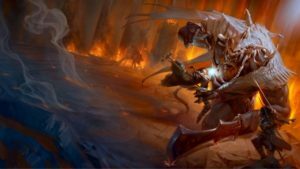 Some articles pull in a photo and you can save an article to read for later. NYTimes is a great app for staying on top of the news but don’t expect to read articles on your wrist. Find all your saved articles in the NYTimes app on your iPhone instead. I love Wunderlist for its simple approach for to-dos. The app is pretty basic, allowing you to view your tasks and to check them off. Unfortunately there’s no way to create tasks or reminders yet. Get on that, Wunderlist. However, Siri can help you make reminders using Apple’s Reminders app on your iPhone. 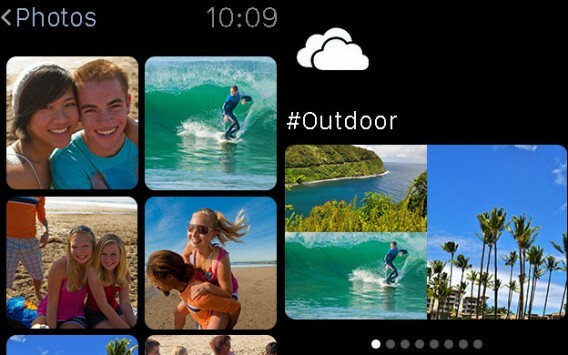 If you’re a Microsoft user, you can access your OneDrive photos on the Apple Watch. It doesn’t do much else but it’s nice to see your most recent photos. 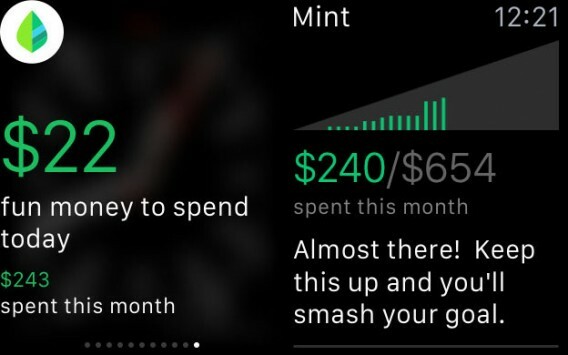 Mint monitors your day-to-day spending and offers suggestions for spending goals. If you’re trying to train yourself to stick to a budget, Mint is a great app. 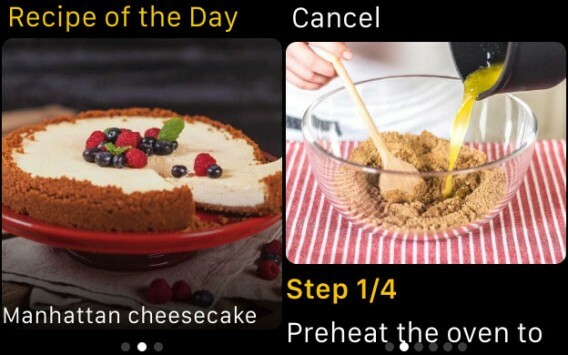 Look up recipes and use the instructions on your wrist. Kitchen Stories is a great companion in the kitchen, as long as you don’t mind dirtying up your watch with your messy hands. Want to quickly look up a song that’s playing, but don’t want to pull out your phone? Shazam IDs the song it hears and gives you options to view lyrics and to buy the song on iTunes. Strangely, the app activates Shazam on your phone to use your phone’s mic instead of the watch’s. Still, this is probably the quickest way to tag a song. I’m pleasantly surprised at how well thought out Yelp for Apple Watch is. You can browse for places to eat, drink, or trending venues. You can even read full reviews on your wrist, something most Apple Watch apps don’t let you do. 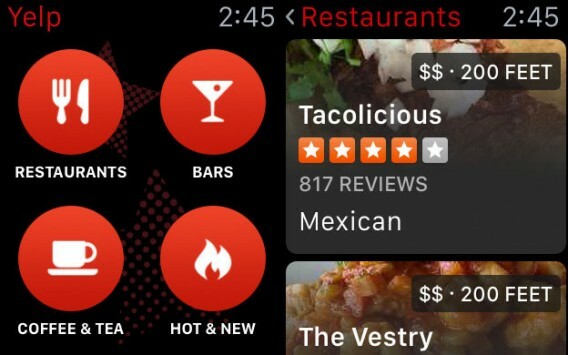 Yelp for Apple Watch integrates with Apple Maps so tapping on a location will bring up directions for you. You can choose between walking and driving directions. Yelp is a great app for quickly looking for a place to go without taking out your iPhone. 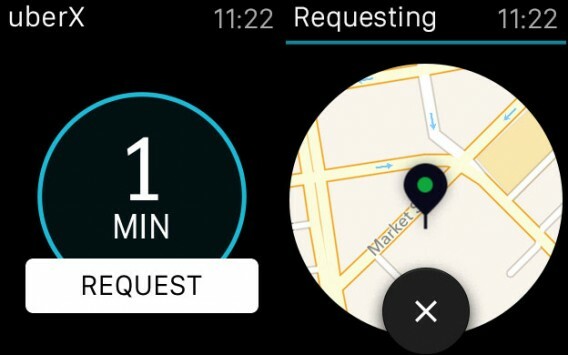 Uber for Apple Watch does one thing: call an Uber for you. The app gives you an estimated time for an Uber to get to you. Tap on it to call for an Uber and you’ll get a ping when your ride is ready. Get your Twitter timeline and trending topics. 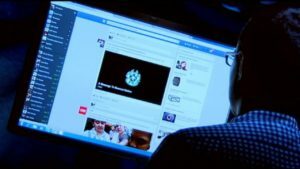 I wouldn’t spend a lot of time reading Twitter on your wrist since you’ll be squinting to see anything. But for catching up quickly on Twitter, it’s pretty great. You can Tweet by force touching and can dictate your message. In your timeline, you can reply, retweet, and favorite specific tweets. If you live in one of the select cities that Citymapper supports, you should download the app now. It’s extremely useful for pulling up directions using public transport and quickly looking up departure times. Citymapper is especially useful since Apple Maps doesn’t support public transit yet. You can even set your home and work locations to get one tap directions to each location. 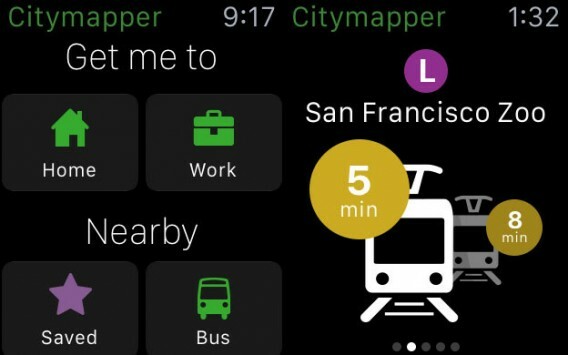 Citymapper did a great job of bringing the best parts of its iPhone app to your wrist. The app crashed a lot on me but I can forgive it since the platform is so new. Hopefully Citymapper can sort out this issue soon. I am very impressed by the selection of Apple Watch apps. It’s only been a few days since the watch was released but there’s already a ton of apps out there, bringing more value to the watch than the built-in apps alone can give. 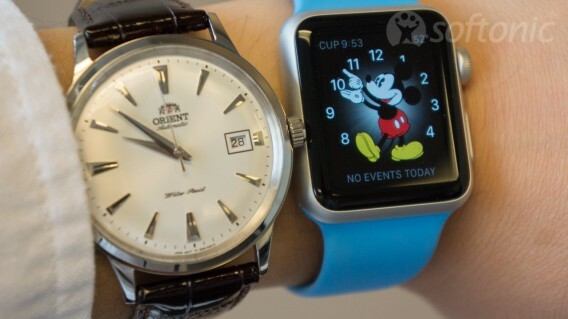 I expected Watch OS to be similar to Android Wear but they couldn’t be more different. While Android Wear is more like a notification center for quickly acting on your notifications, Watch OS feels more like a complete operating system. Sure, 99% of the apps still require an iPhone but using specific apps on Apple Watch makes it seem more useful. 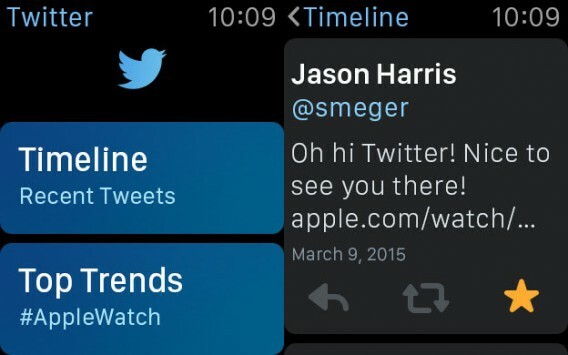 How useful reading Twitter on your wrist is, is still up for debate. While Android Wear is designed to get out of your way, Watch OS beckons you to use its apps. Stay tuned for more on the Apple Watch. 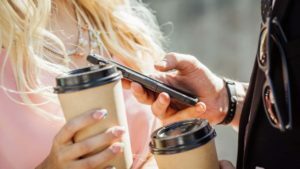 The way we pay: are mobile wallets the future?